Your customers want help stopping hackers from compromising their vulnerable endpoint devices. But those endpoint detection & response (EDR) solutions require large capital expenditures, sophisticated processes, and hard-to-find security expertise beyond the reach of most mid-sized organizations. That's why Masergy created our Managed Endpoint Detection & Response solution. 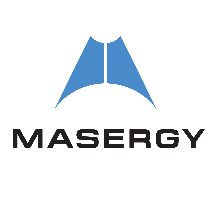 Masergy integrates industry-leading EDR agents from Carbon Black Response into Masergy’s patented Unified Enterprise Security platform. Our solution will help open up new opportunities for you. If you have existing Carbon Black customers, convert them into a comprehensive Managed EDR solution. It’s less hassle for your customers and more revenue for you.